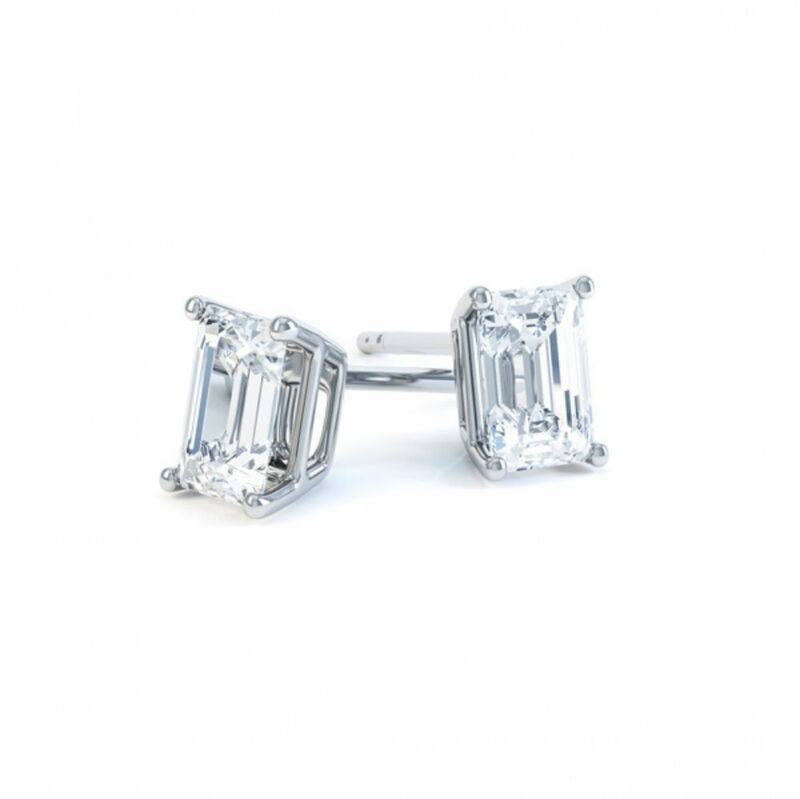 A pair of Emerald cut diamond solitaire stud earrings, created in the traditionally classic four claw setting. Enjoy beauty every day with these simple yet elegant design stud earrings. Using a precisely matched pair of Emerald cut Diamonds and adding these to a timeless four-claw setting design make for a beautiful piece of jewellery that deserves to be worn every day. Knowing you have the security of the Push-on butterfly attachments. The diamond weight shown is for the total carat weight including both Diamonds with a wide choice of Diamond weights available. 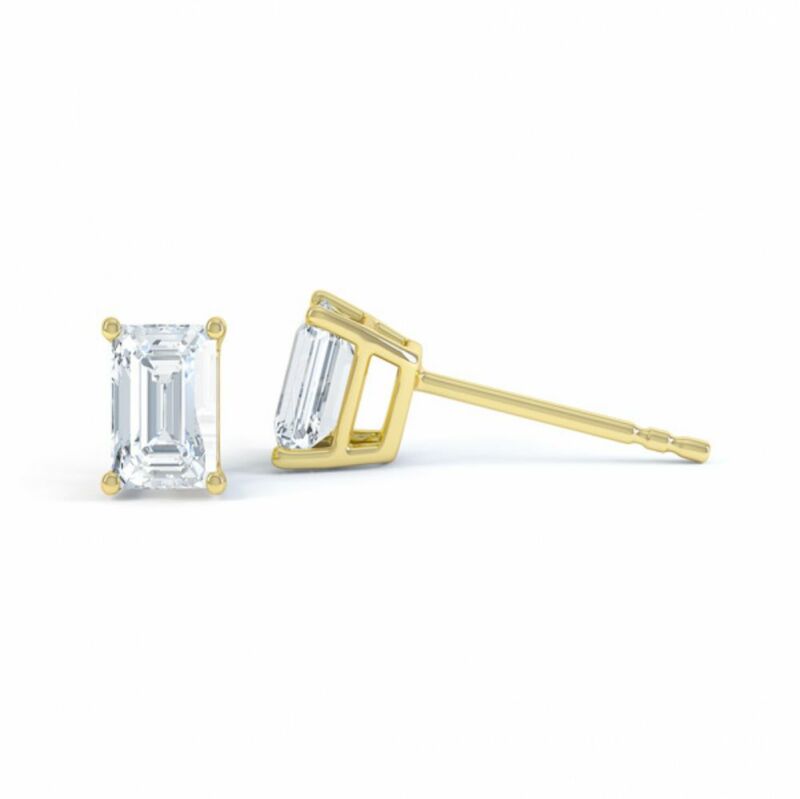 We can craft your earrings in a number of precious metal choices including 18ct Yellow Gold, 18ct White Gold and Platinum. Once we have crafted your earrings in your chosen precious metal, they will be delivered straight to your door by a secure courier, presented in our bespoke Serendipity Diamonds packaging. 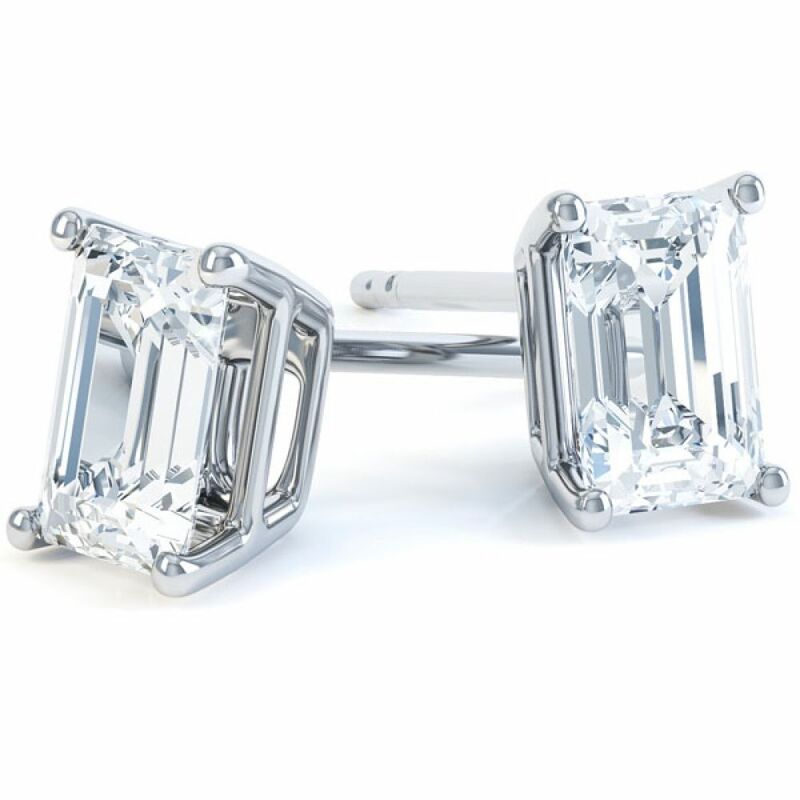 Showing a boxed pair of Emerald cut diamond earrings, 2 carats total weight.